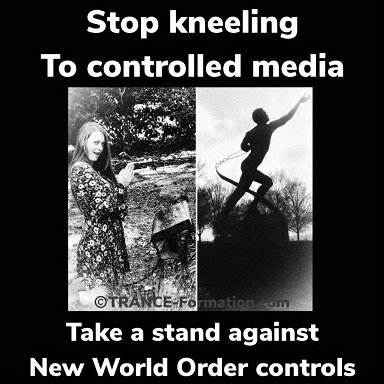 Controlled media is the voice of the global elite, whose New World Order plan has been spinning out of control ever since Hillary Clinton failed to claim the office of US President. Now media’s last desperate attempts to maintain their control by creating doubt, diverting blame, and dividing u.s. all is failing, too. Their protests are not ours. The powers that have been in control of our government, our information, and our minds and lives are now dark history. Mark and I have been blowing the whistle for 25 years on this established plan, which was to be ushered in the way it has been for decades through controlled media, contrived polls, and rigged elections. Thanks to the internet, Wikileaks, whistleblowers, and relentless exposes during this election, people woke up enough to reclaim our country, its Constitution, and sovereignty. As the swamp drains, the controlled media is destined to spin down with it in one long awaited SWOOOSH! Truth indeed makes u.s. free! Previous Post: « Drain the Swamp!